My ride is a bubblegum pink cruising bike with rusted handlebars, a rickety frame and the name Jorge. Since I live outside the city center (ugh, I know, don’t remind me), I’m constantly busing myself from one end of town to the other to meet friends, run errands and go to work. When I was a kid, I couldn’t wait to come home from school and ride my bike around the block until my legs practically fell off. Now that I’m an adult, it’s my favorite way to get around, especially in a city with terrible transportation and few parking spots. 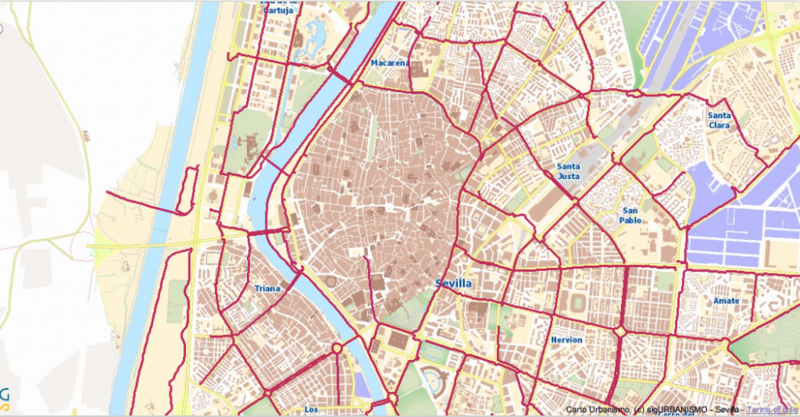 Seville is perfect for bikes – it’s flat, has miles of bike lanes and so, surprisingly, nearly one-tenth of sevillanos chose to commute on two wheels. For me, there’s nothing more freeing than pedaling along the Guadalquivir, feeling the burn in my thighs and arriving a little winded to work or to meet my guiritas. Consider renting a Sevici bike, part of the city’s bikeshare program, for half of what a cab costs from the airport. Yes, the bikes are big and clunky, but it’s the easiest way to get from one place to another. For one week, you can use the bikes for 30 minutes (o sea, between bars or between practically any point in the city), and there are more than 250 rental points. Is your city bike friendly? Does your bike have a sweet name like mine? For more videos, subscribe to my YouTube channel! I completely agree! I gawked at people riding the shared bikes in Barcelona, and Madrid is just insane! Caitlyn recently posted..Are free walking tours really free? I’m interested in knowing what name he gets! I loved the Sevici bike system when I was in Sevilla! It was so easy and cost effective. Sevilla was the first city I’ve ever biked in and haven’t looked back. Now, I regularly ride my bike to work. The green bike lanes and the protected bike lanes are great, especially for those who may not feel as comfortable biking through a city. I’d highly recommend biking through Sevilla to anyone who visits! I used Sevicis for ages – they’re so much cheaper than taking the bus when you’re running between private classes! We loved walking around Seville on our last visit. But next time a riverside bike ride appeals. Especially after your descriptive endorsement. My bike is so plain and black, but I love her so much. We’ve been through all kinds of hell and high water together, but it’s the best way to get around by faR! Alex @ ifs ands & butts recently posted..making the most of one day in fes. Another reason to f*cking love that city. Love it. Also, your bike is badass…la recordamos! But wouldn’t it get too hot during the summer to bike around? I’ve only been to Seville in winter, but I understand summers are really warm, right? The summers are unbearable, but taking the bus is worse for the smell! Jealous, jealous, jealous of all your beautiful bike lanes! Haha. 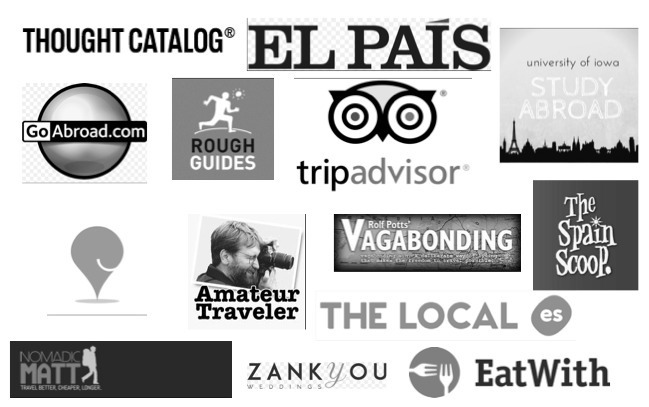 Sevici is great, I used it a couple times during my stay in Sevilla and it’s excellent. I love biking around Barcelona and have almost given up using the metro or buses entirely….but it would be awfully nice not to have to battle taxi drivers any time I went anywhere. I wish it were also bike friendly where I live here in the Philippines. There’s nothing I would love better than to use a bike for transportation! I love being able to bike around. That’s next to impossible where I’m living in San Miguel. You’re kidding! I would have imagined it to be a great place for biking! I’ve heard many great things about Seville, so I’m looking forward to visiting. I’ve also been missing visiting places where you can actually bike around, because Hong Kong is NOT bike friendly, so thanks for the info! I was in China and was nervous to even walk on sidewalks!! I can imagine HK is much the same! I love these bike sharing systems! I did it in Paris years ago. They’re fantastic, and probably the easiest way to move around Seville! Oh, we looked at those bike rentals when we were in Seville, but ended up walking instead (which was also a lot of fun!). I kindof wish we’d taken one of the bikes out for a spin now, though. A famous TV show on gastronomy invites you to lunch in a restaurant in El Rocio (Huelva) on Monday 2nd December and Tuesday 3rd of December. We are looking mainly for tourists and groups of friends. Interesting — I would not have thought that Seville was bike-friendly. Are you allowed to bike on pedestrian-only streets? The center of town is not as bike friendly as you’d imagine, but it’s honestly the easiest way to get around, especially if you don’t live in the center (in that case, you’re better off walking). The bike lanes are actually on sidewalks! Doing the bike tour on the second day of my trip to Sevilla was a great choice. Our guide showed and told us a lot about buildings and places in the city center, but also took us to see the beautiful Plaza España, a place you might forget when you only walk around Sevilla. We’re fortunate that Vancouver in Canada is very bike friendly too! One of our favorite outings is to cycle on the looooong waterfront path, around Stanley Park and False Creek. The water views are amazing, and we love stopping at the little coffee shops for cappuccino. Now Seville? On our travel wish list :-). Biking along the river is special in Seville, too, particularly at dusk. It’s amazing how the city has transformed thanks to projects to clean up the riverfront and make it more attractive, and there are loads of bike stands and parking around. I’d love to see Seville via bike. I wish more cities were as bike friendly.